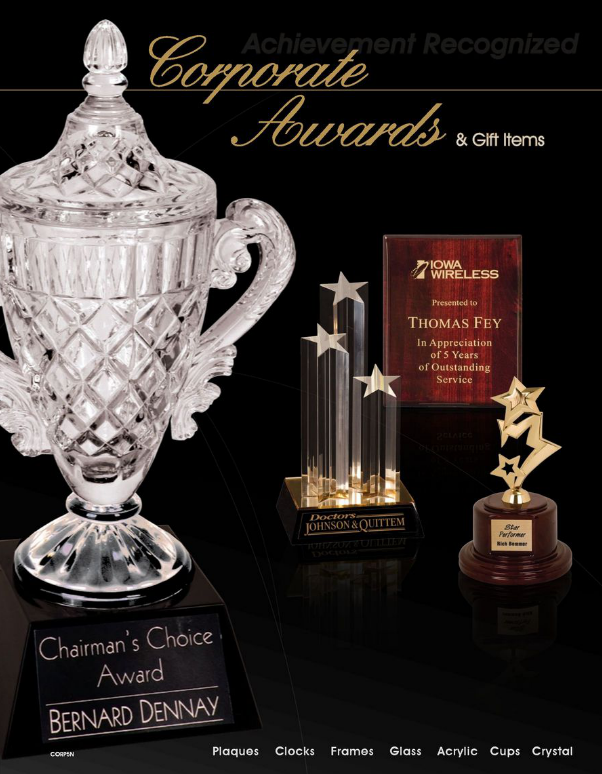 Our corporate awards catalog is a collection of the most popular items for your business and civic recognition needs. All products are custom laser engraved to include logos and/or artwork of your choice. In addition to the catalog, we have a wide variety of items in our retail store. We can also work with you to design the perfect custom award for your organization. Give us a call at 757-868-7103 or email info@islandertrophies.com with any questions or special requests.